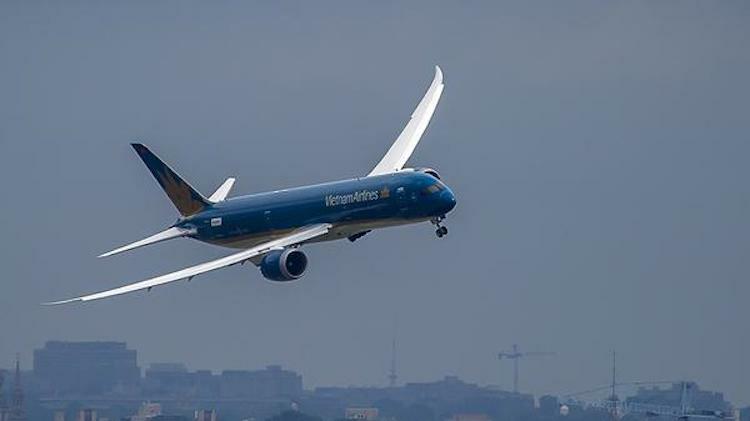 Vietnam Airlines has showed off its first Boeing 787-9 with a spectacular flight over Washington DC ahead the aircraft’s entry into service and signalled its interest in taking more Boeing aircraft by signing a “memorandum of collaboration”. Although the airline was scheduled to formally take delivery of the first of 19 Dreamliners on order later in July, a special event was held at Ronald Reagan Washington National Airport attended by the General Secretary of the Vietnam Communist Party Nguyen Phu Trong, who was making his first visit to the US. Also among the 200 or so invited guests were Boeing Commercial Airplanes chief executive Ray Conner, government officials from both Vietnam and the US and invited media. The memorandum of collaboration between the Skyteam member and Boeing covered eight 787-10s and eight 777-8Xs, Boeing said in a statement on July 6 (US time). 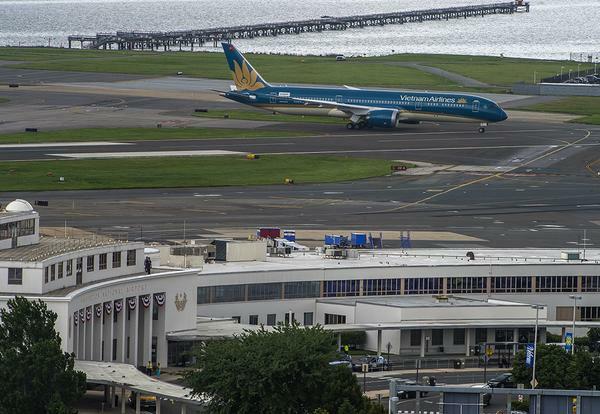 “Boeing and Vietnam Airlines will work together and report to government authorities before coming to official cooperation agreements in the future,” Boeing said. Trong is scheduled to meet with US President Barack Obama on July 7. It will be the first time the Vietnamese Communist Party chief has met with a sitting US president since the two nations normalised diplomatic relations two decades ago. 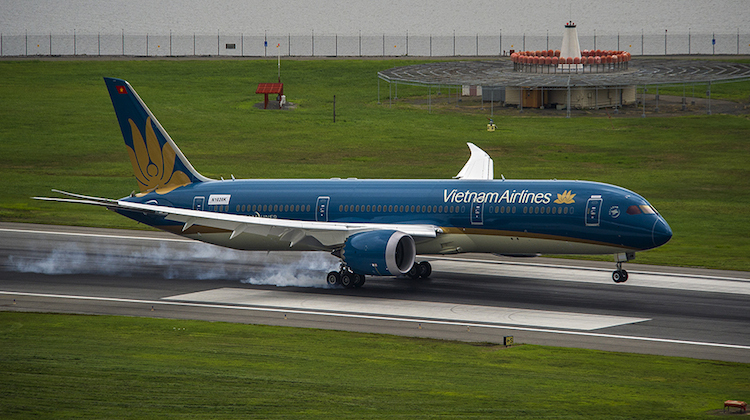 On June 30, Vietnam Airlines became the second carrier to take delivery of the Airbus A350. The airline has ordered 14 A350s, with 10 to arrive from Airbus and four through lessors. Why order both B787&A350’s – aren’t they doubling their parts inventory & overheads versus sticking to one type? The alternative to match the A359 in capacity is the 78-10 which does not have the legs (not to mention the elbow room). 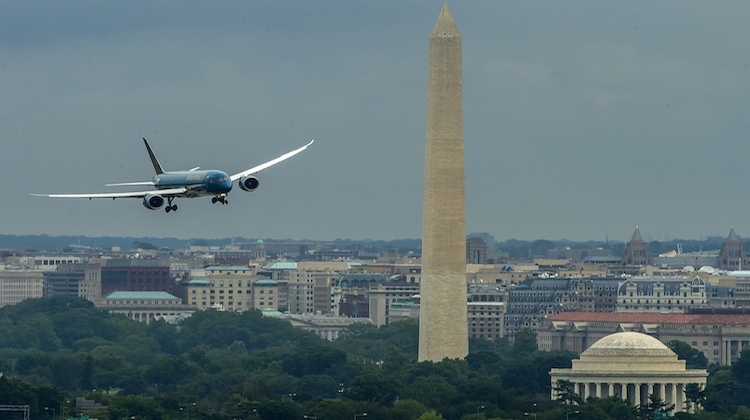 Read an article that states they have a memorandum of understanding with Boeing to get 8x 787-10 and 8x 777-8X too…. It’s worthwhile noting that widebodies can land at Reagan National, however, they would have trouble taxiing around so I can count with only one hand the number of widebodies that have visited it in the last decade. Another notable aspect is that this marks the first time a hand-over ceremony was held at KDCA. It could be that Boeing brought it there to add to the pressure to Congress to keep the US Export-Import Bank operating.